Are you considering installing a fire pit in your backyard? 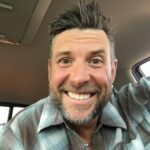 Perhaps you’ve been contemplating it for quite some time, but the task of collecting wood and the hassle of cleaning up after your fire seems impractical and even downright stressful. Maybe you’ve even fantasized about backyard gatherings, potlucks, and parties around your fire, but these seem like summertime activities and in your area of residence, wood burning fire pits are dangerous or even illegal during summer months due to the fire hazard they create. Does this sound familiar? If so, the solution may be as simple as choosing a gas fire pit over a wood burning one. Because they are easy and safe to use and require very little maintenance, gas fire pits make an excellent addition to any home! 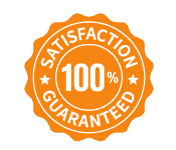 To help you with this decision, we have provided the following information regarding what exactly makes a gas fire pit such an ideal outdoor feature for anyone looking to add a cozy entertainment space to their home. Wood burning fire pits tend to produce an inconvenient amount of smoke. 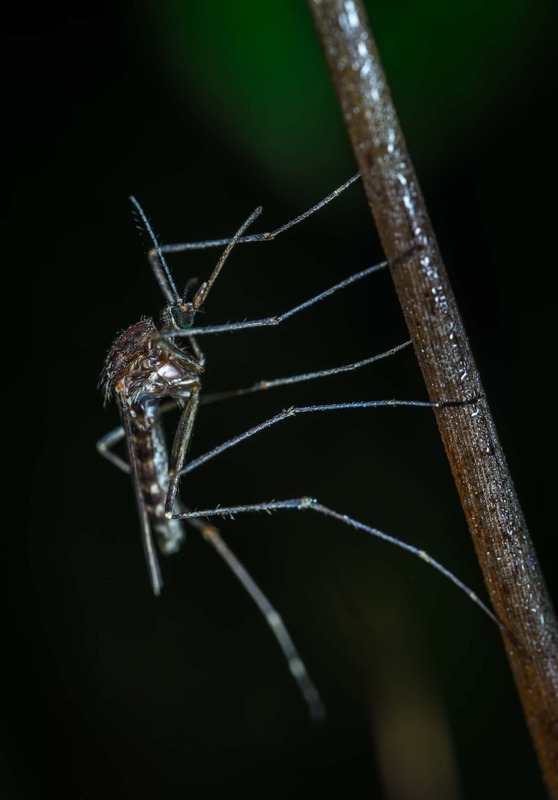 If you’ve ever gathered around a campfire, you’ve surely experienced the discomfort of the wind blowing smoke in your direction and you know just how frustrating it can be trying to escape it. Smoke from your fire pit can irritate your eyes and the eyes of your family and other guests, and it creates an unpleasant, lingering smell that sticks to clothes and can be very difficult to get rid of. Besides the general uncomfortable feeling and the long-lasting aroma, smoke also distributes pollutants into the air around you, and breathing it frequently can cause a number of respiratory issues. Fortunately, gas fire pits do not produce smoke of any kind which means you’ll be able to enjoy your outdoor fire pit more thoroughly. 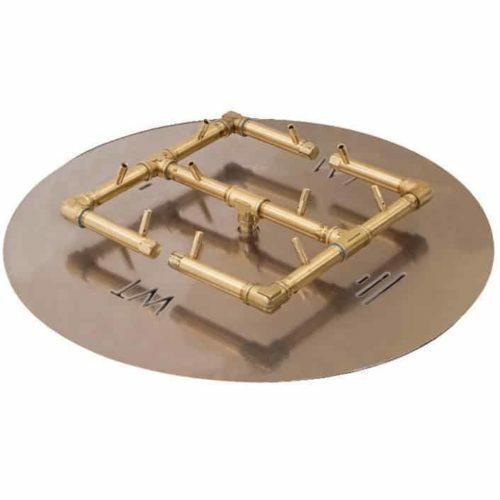 Gas fire pits have the advantage of being much more eco-friendly than wood burning alternatives. Because there is no smoke released into the air, there are less environmental pollutants to be concerned about. 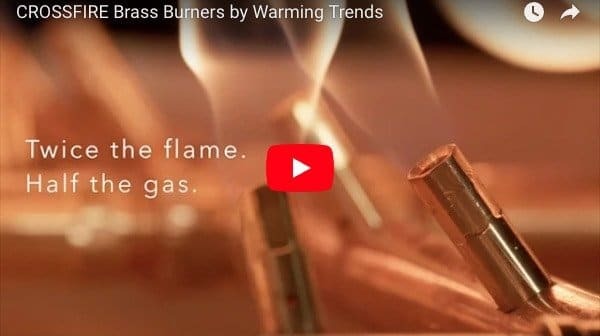 Gas fire pits are incredibly safe to use as they do not produce sparks or hot embers, making them an ideal choice for those who live in dry areas. 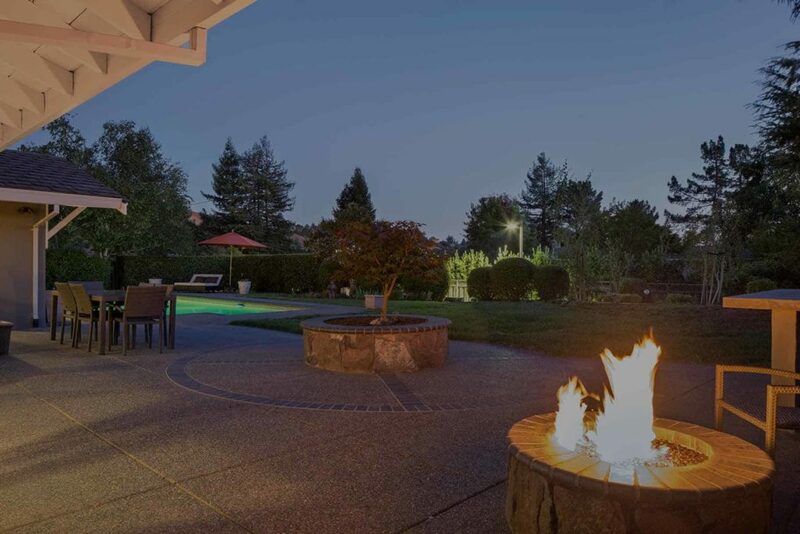 The absence of these sparks and embers allows you to gather around your fire pit without worrying about the possibility of forest fires or even fires in your own backyard and near your home. For this reason, gas fire pits are able to be used in communities within city limits that may not allow the use of wood burning fire pits. One of the major disadvantages of wood burning fire pits is, obviously, that they require wood. Collecting wood, especially during cold or wet weather, can become quite a hassle. On the other hand, buying wood for fuel is a required, ongoing investment that can quickly add up and put a strain on your wallet. Wood must also be stored properly, and it is an ideal gathering place for pests and rodents. 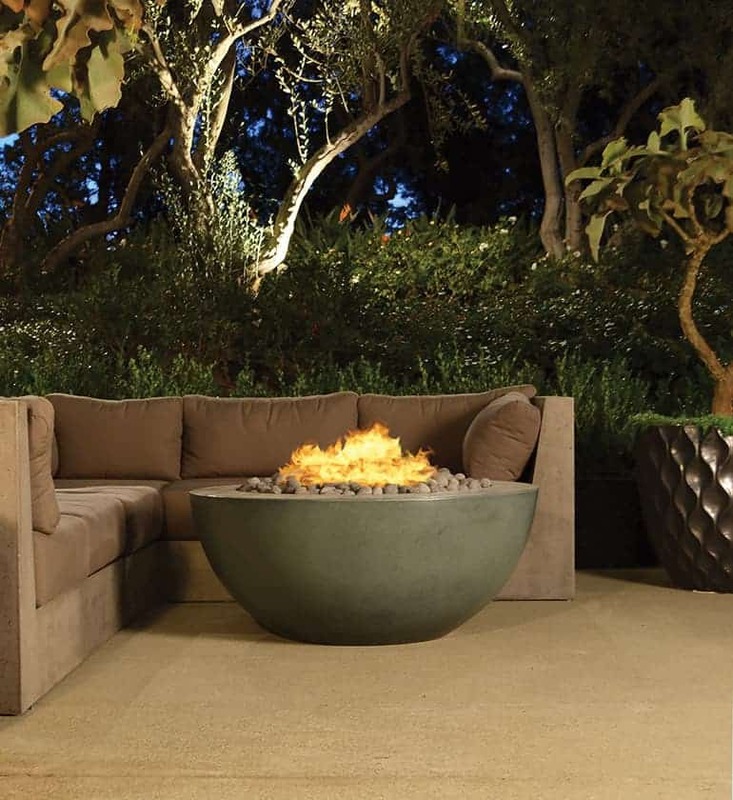 The convenience of gas fire pits is a huge bonus, and for many, it’s a deciding factor. Gas fire pits add comfort and warmth to your outdoor entertainment area year round, and they are simple and easy to maintain. 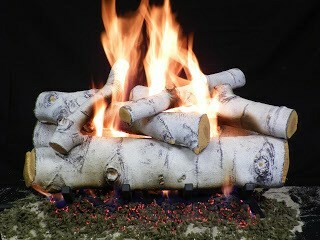 Because they do not burn wood, they do not create ash or embers, making cleanup a hassle-free process. 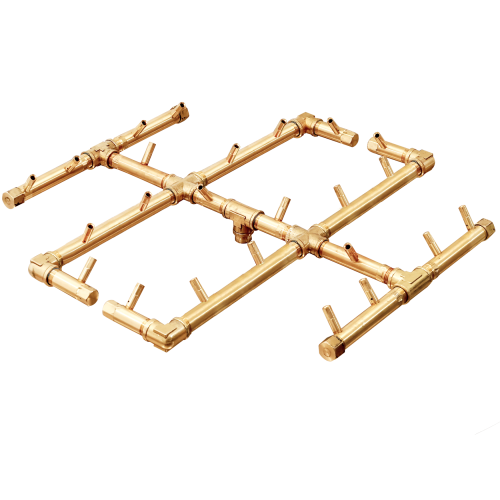 Operating your gas fire pit is as simple as flipping a switch, and it will be burning at full capacity in mere seconds. When you’re ready to retreat indoors, there is no need to extinguish the flame; simply turn your fire pit off. 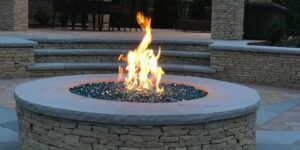 Because your personal styles and tastes are most likely already established, it is important to have the option to customize your fire pit. 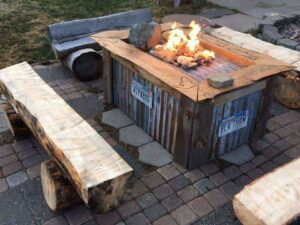 Gas fire pits area easily built and decorated to coexist with other features of your yard and home, and they’re simple enough to build and install yourself or with the help of a professional. They can be designed in many shapes, colors, and styles to create a centerpiece that blends perfectly into your outdoor entertainment area. For even more options, you have the ability to decorate your fire pit with faux wood logs, pebbles and stones, and even beautiful, sparkling fire glass that comes in a wide assortment of shapes and colors and can be switched out easily at any time. 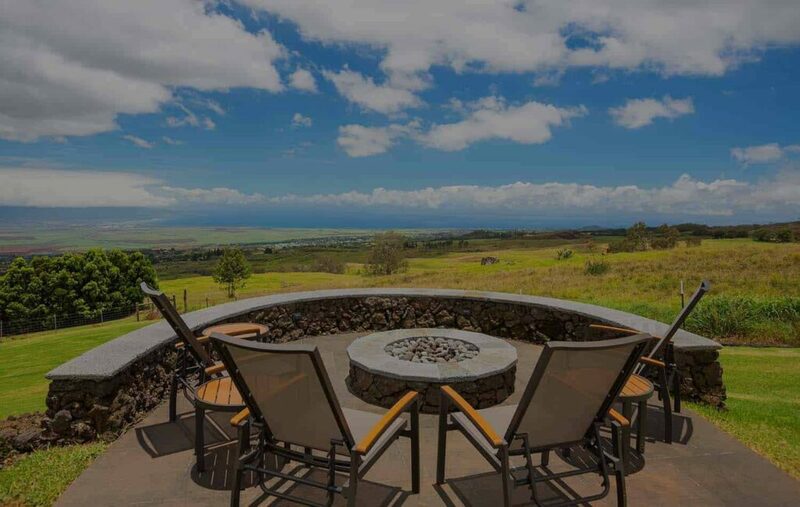 Because gas fire pits are safe for use near pools, on wood decks, and even near patio furniture, they can be placed wherever you please and used as a gathering area for friends and family. 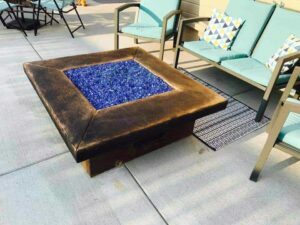 When your fire pit is not in use, simply use a cover to quickly convert it into a stylish patio table. During colder months, nothing compares to the cozy feeling of lounging by a warm fire. During fall and winter months, many feel restricted by the cold and prefer to spend their time indoors. By adding a gas fire pit to your deck, yard, or patio, you can enjoy the outdoors while staying comfortable. Gas fire pits have the ability to generate a considerable amount of heat, more so than those that burn wood. They also add a certain amount of control as the temperature and flame height can easily be adjusted depending on your own preferences. 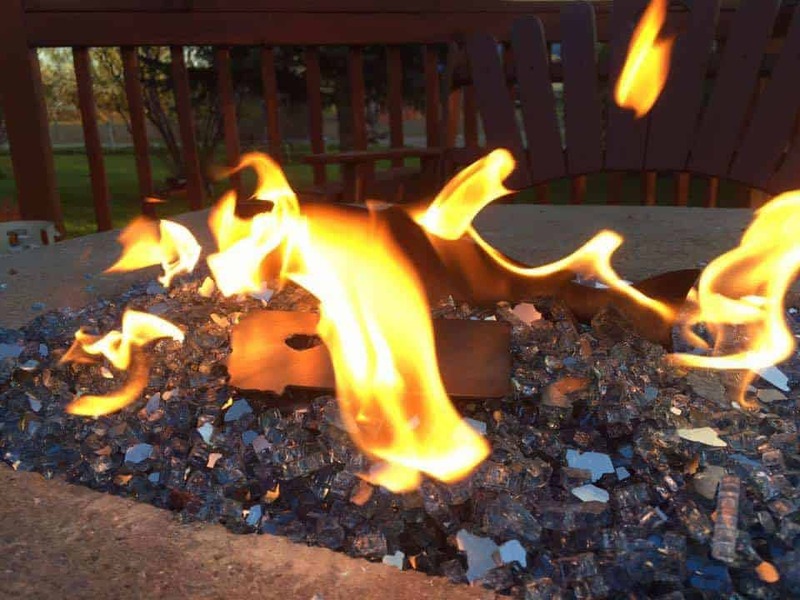 Additionally, fire glass adds extra efficiency to your fire pit while eliminating the necessity of wood collection during cold weather. Fire glass is an excellent conductor of heat, allowing for extra warmth with far less fuel. Ready to get started? 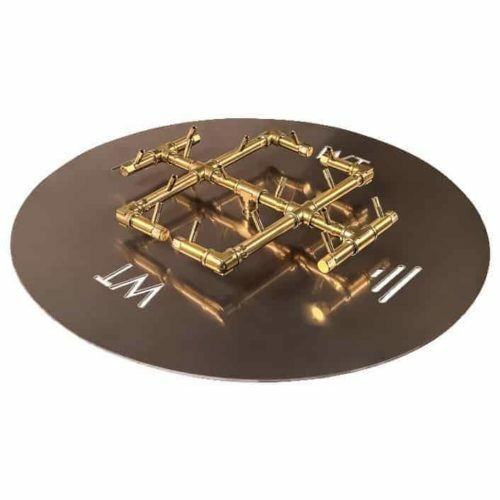 Be sure to check out our shop for products and accessories, DIY ideas, and additional information on building and installing your very own gas fire pit!